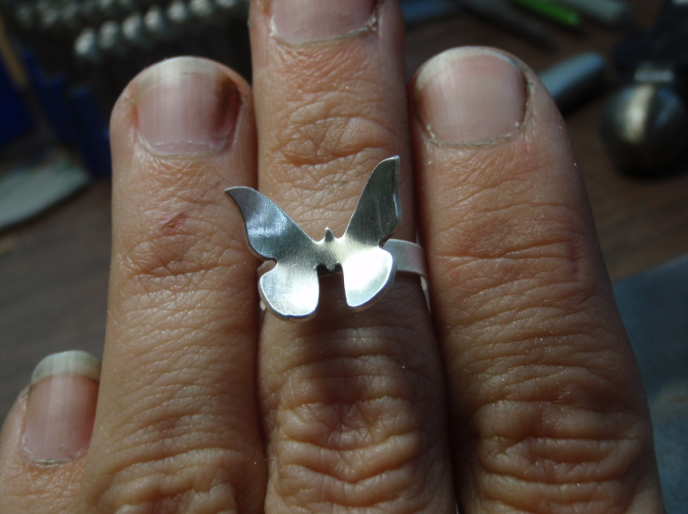 Today another easy an fun project – a knuckle ring . 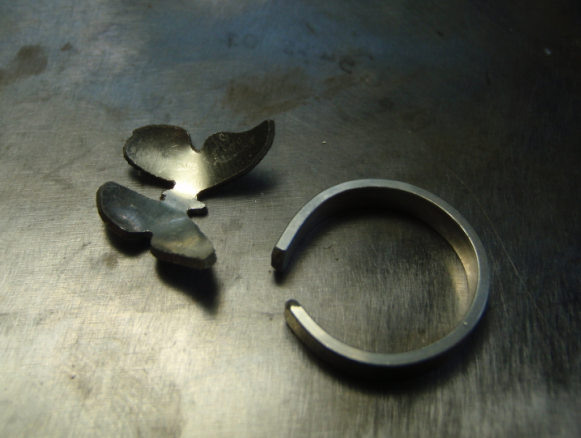 Knuckle rings are to be worn – like the name suggests – above the knuckle . I have several that i wear daily , I prefer to have mine on my middle fingers on both hands . They are comfy and are adjustable so very easy to make . 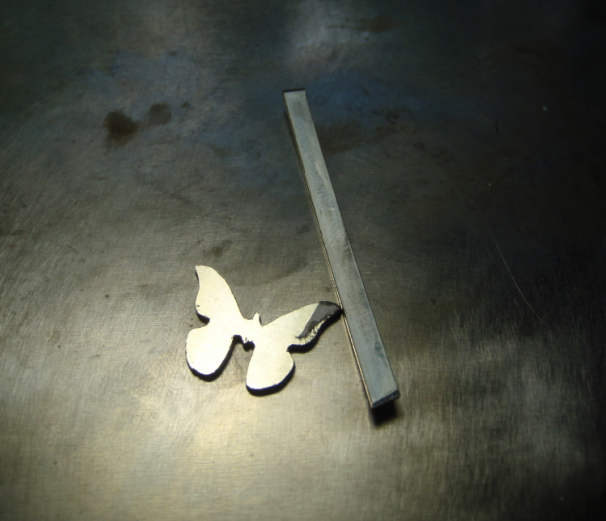 cut a 45-47 mm long piece from sterling silver flat wire ( i use 3mm by 1 mm thick wire that i get from http://www.riogrande.com . 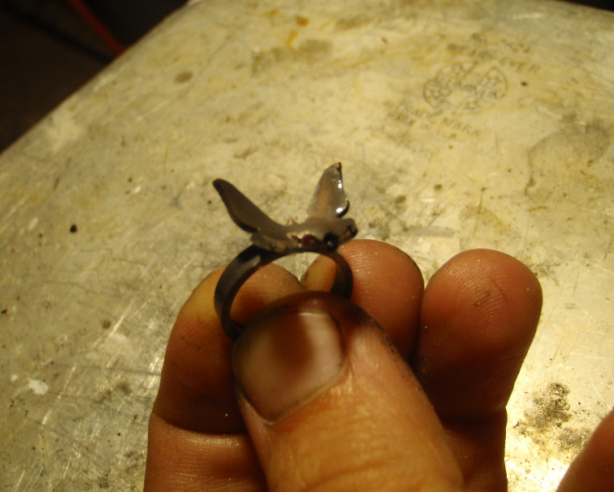 The wire is perfect for toe rings and small ring shanks and I use a lot of it . 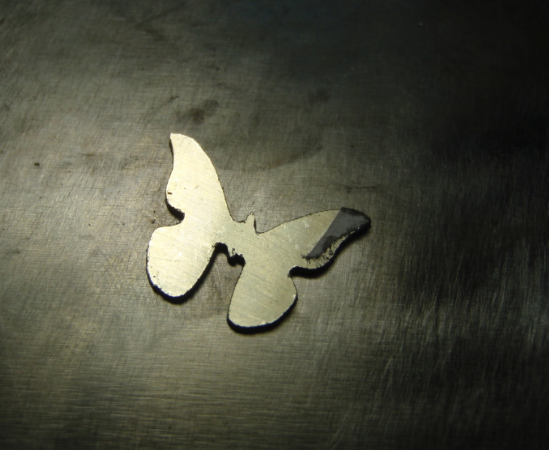 Cut your butterfly out with a jewelry saw and 1/0 blades from your metal sheet ( i used 20 gauge here ) . 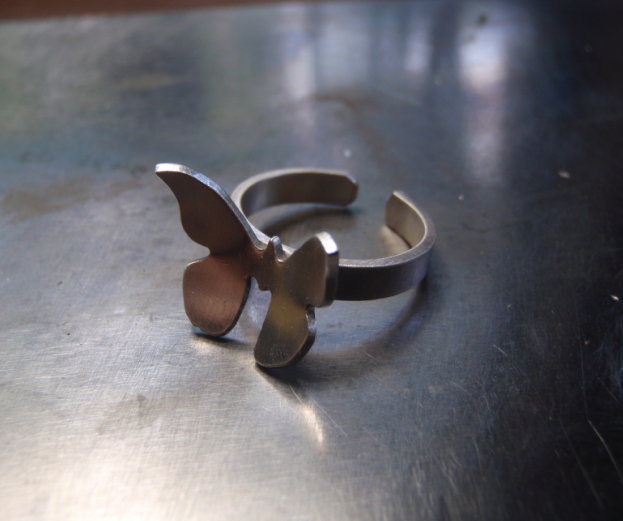 File the edges of your wire strip and of the butterfly so that everything is smooth and wearable . 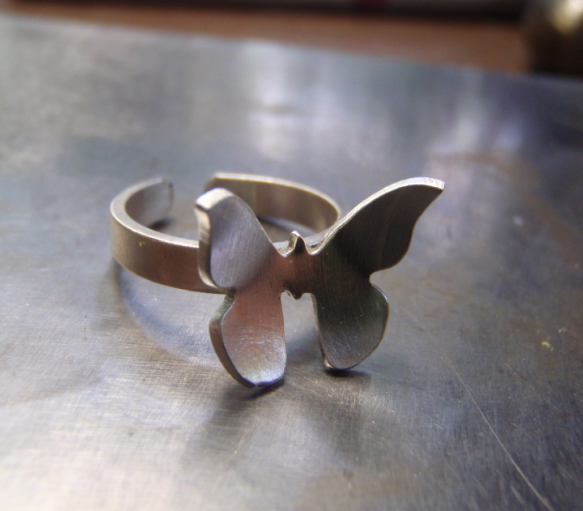 Form your wire on a ring mandrel ( size 3 is usually a good size ) . 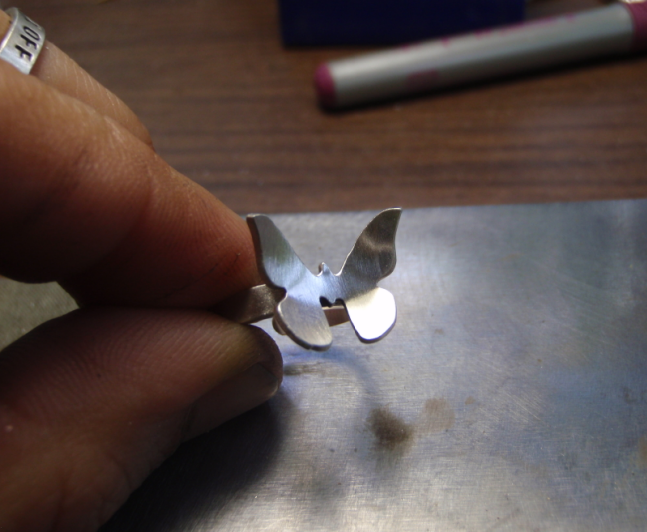 I used a dapping block to dome the butterfly to make it more organic looking but if you prefer you can keep it flat . 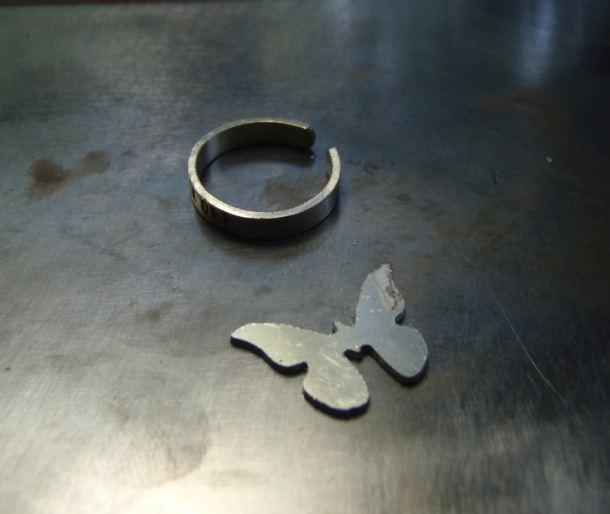 Solder your butterfly to the ring shank . 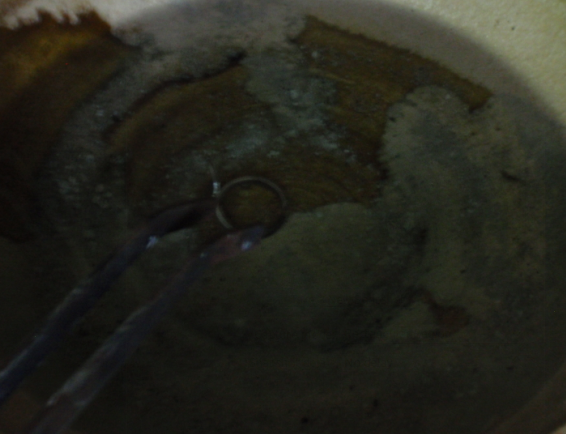 Quench in water and then clean in pickle solution . After your ring is clean take your flex shaft and polish your ring . Done . 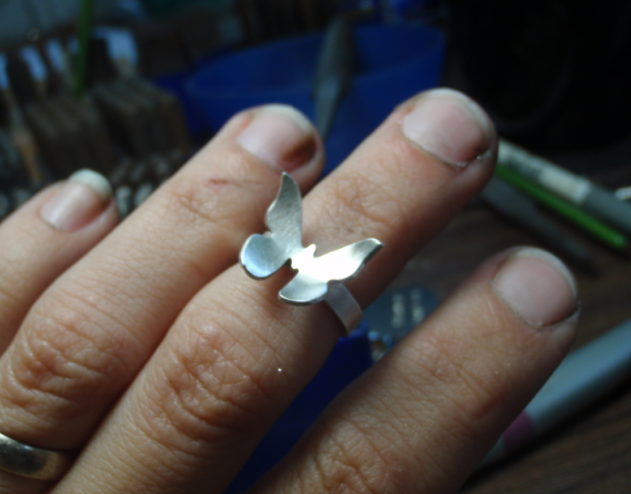 Now you can wear your little knuckle ring proudly on any finger ( remember because we did not solder the ends together the ring is totally adjustable .